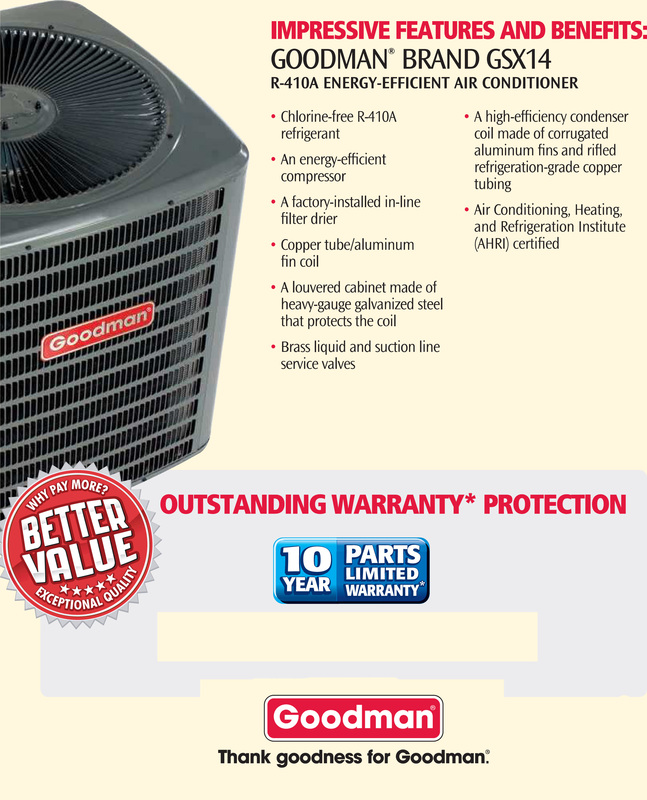 Your GSX14 air conditioner will provide reliable cooling & money savings for years to come. 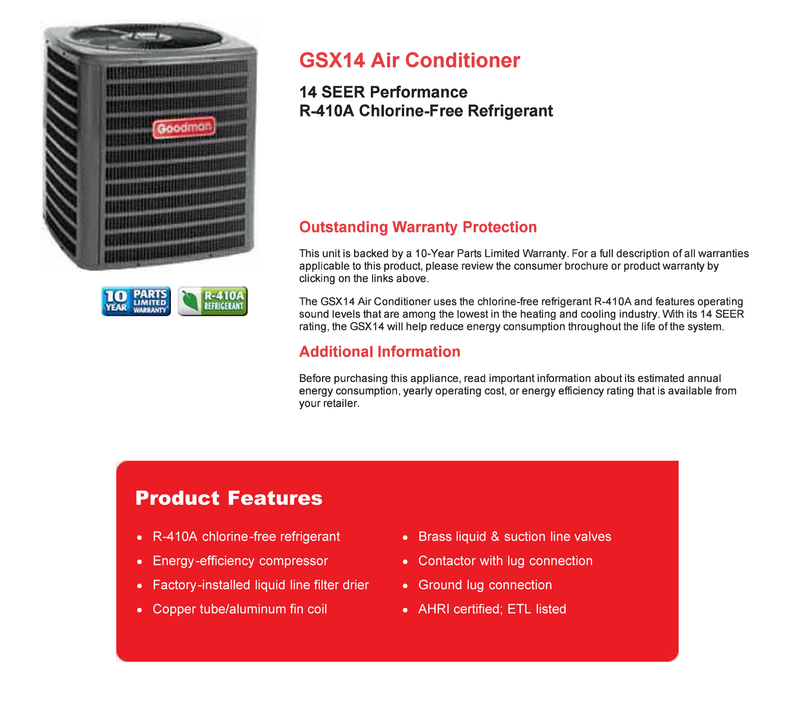 With SMARTCOIL technology & a new design, GSX14 meets the new 2015 EPA laws. In addition to covering the heat exchanger with a Lifetime Limited Warranty to the original, registered homeowner, if the heat exchanger fails during the first 10 years of ownership, we will replace the entire unit.This furnace also has a 10-Year Warranty on all other functional parts. Online registration required within 60 days of installation. For a full description of all warranties applicable to this product, please review the product brochure or click on the warranty link.